Gary was born on his grandfather's dairy farm in Walton, N.Y. His mother moved him and his siblings to a place called Coney Island, in Brooklyn, N.Y., when Gary was five years old. Gary spent the ages between age 7 and 10 shining shoes on the boardwalk. Most everyone wore shiny shoes back then and Gary did pretty well at 10 cents a shine. A pretty good kid could make $4 or $5 a day. When Gary was 10 he became interested in auto body repair, which to him seemed a natural progression from shining shoes. 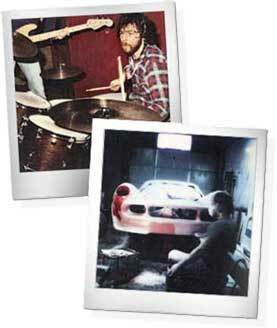 By the age 13, Gary was doing "gypsy auto body" and making a lot more money than he was shining shoes. As a kid, every summer and school break, Gary was put on a Greyhound or Trailways bus and shipped back up to "The Farm" to keep him out of trouble, something a kid on the streets of Brooklyn could get into pretty easily. More than anything else being raised in these two extremely different environments gave Gary a unique dual-perspective on life. His city friends found it hard to believe the stories he brought back from the country, and needless to say, his friends in the country thought his tales from the projects were a bit far fetched. At the age of 15, Gary traveled the country working in the Happy Land carnival, but it wasn't always happy. Sometimes it was really hard work, but it was a great learning experience and he got to see so many wonderful places across this great country. In February of 1967 Gary left high school and joined the Marine Corps, which would prove to be the greatest experience of his life. 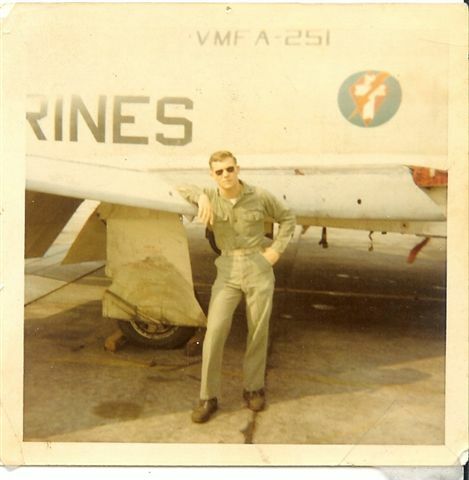 Still only 17, Gary was being trained at NAS Memphis to be a jet mechanic. He went from farm tractors and 57 Chevys to F4 Phantoms. Gary was given his choice of duty stations for a year after achieving high scores in training, so he chose to stay in Memphis. He turned 18 in the Shelby Forrest, overlooking the Mississippi, and progressed from Pvt. To Cpl. in less than 6 months working a job he loved., and for the first time he truly felt at home. After 3 years Gary left the Marines, and to this day he still doesn't know why. He was only 20 and already an E-5 Sgt., loved what he was doing, and all before he was old enough to vote or drink. Gary enrolled at the Academy of Aeronautics at LaGuardia with hopes of becoming a jet mechanic in his civilian life. He was surprised to find that the airlines were laying-off people who already had their A and P licenses, so he signed on with the N.Y. Telephone Company (Ma' Bell) and stayed there for just over 3 years, leaving to become a Correction Officer at Riker's Island for the next 5 years. All his life Gary could draw. Even as a child, he could draw almost as well as he does now. No, really! It was just one of those things, but a kid growing up in the projects back then didn't think about becoming an "artist." Or if you did, I guess you'd keep it to yourself. 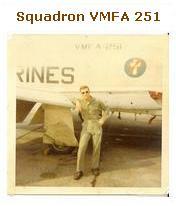 Anyway, a job that required him to go to jail everyday was a far cry from the elation he felt watching the Phantoms he worked on take off at Max AB (after burners) on some flight line over Yuma, Arizona. Late at night the stars would seem to shine brighter then they ever did before, giving a real sense of endless possibilities in the world. So a life as an artist and illustrator was the next best thing. In fact, a life illustrating science fiction could be even better. You can create anything you can conceive of. A million extrapolations connecting what you know to be true with that which you can only imagine. The physicist, Richard Feynman, taught us that the most important experiments are those of the mind. Simple ideas can become theories, taking their place in a long chain of technological advancements. Though Gary is primarily self-educated, he received the Dean's List Honors from the New York Institute of Technology in April of 1975.